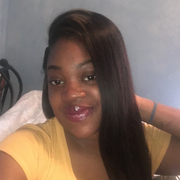 My name is laporsha I'm 23 years of age I have a 3 year old and a 8 month baby I have very much experience and babysitting infants to tollder and grade school children I have been baby sitting since I was 16 and then when I had my own my passion grew stronger I love children. They are just so precious and lovable and very easy to love . I have 8 years and experience and I'm a loving mother and my hobbies for my fun time are to take my children out to the museum and parks when we have nothing to do . Laporsha doesn't have any reviews yet.